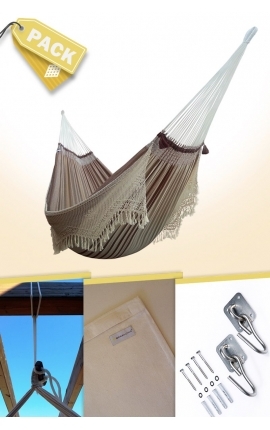 Hammock shortener, designed to hang a hammock adapting its size to the available space. 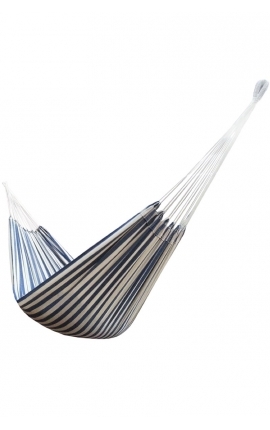 Reduce 25 cm the size of the hammock using one unit and up to 50 cm using two. Patented product that guarantees a greater comfort. 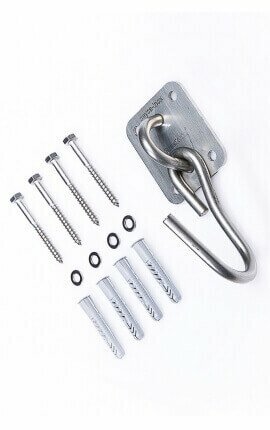 Hammock shortener, developed specifically to hang hammocks on walls, trees, beams or under pergolas. 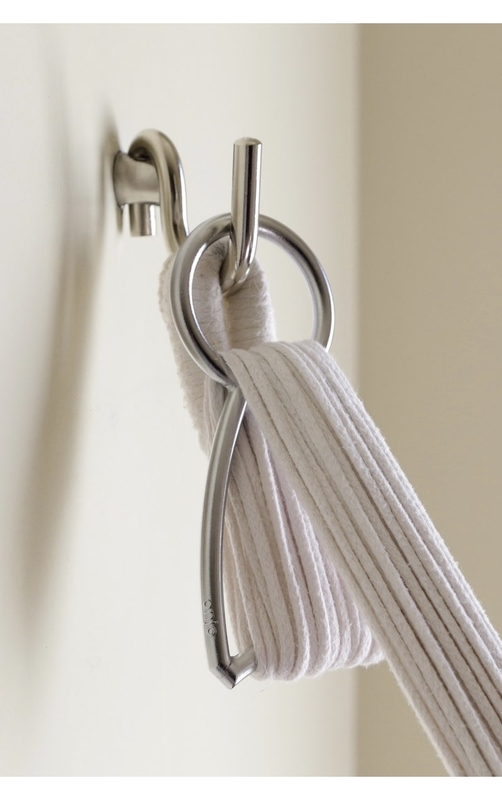 Our Anjo hammock shortener is the perfect solution if your hammock is too long for the available space. 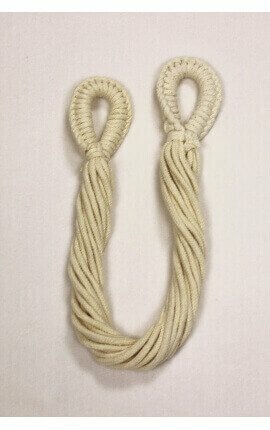 This accessory can reduce the end of the hammock 20 cm, shortening its total length as well. If you use two shorteners (one per end) you can leave the hammock up to 50 cm higher. This shortener is easy to use and does not require any preliminary knowledge. 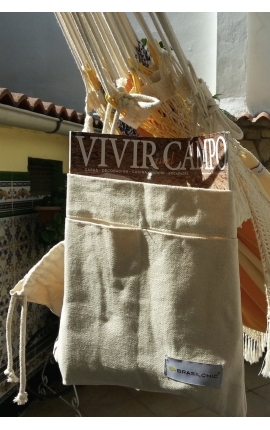 It is a patented product with many prizes that guarantee its quality, appreciating its simplicity and originality. 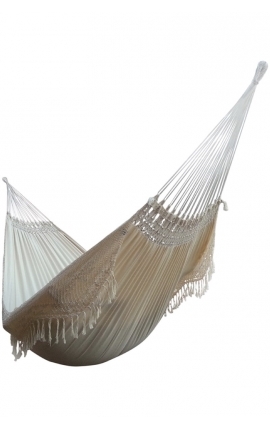 It offers to hang a bigger hammock in a reduced space without conditioning its buy to a specific measure. 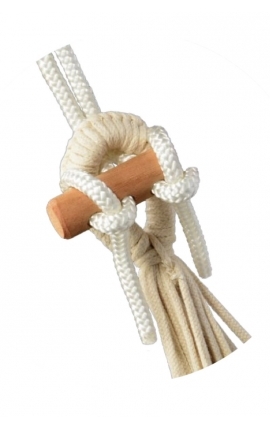 It preserves the hammock keeping its ropes aligned and preventing other improvised ways of shortening it that are not advisable, like the traditional "knot" that wears the ropes away, makes the hammock unstable and damages its ends. 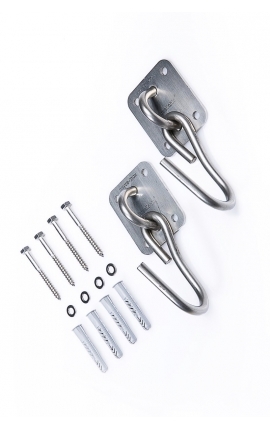 Our Anjo shortener is developed using a die casting process, and the material employed is a metal alloy named Zamak, made of zinc and very used in the motoring industry. This material, once casted, is treated with a chrome finish that gives a shining appearance to it; it does not wears away from brushes and is corrosion-resistant. Excelente. Buena calidad y cumple su función perfectamente. El producto tiene buena calidad!